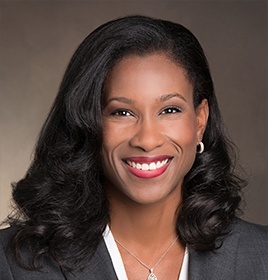 Leah Brown, M.D., is a board-certified orthopaedic surgeon specializing in sports medicine and treatment of the knee, shoulder and elbow. She received her Bachelor’s of Science in genetics from the University of Georgia, where she was a 14-time NCAA All-American, and a two-time NCAA National Gymnastics Champion and was inducted into the University of Georgia’s Circle of Honor in 2016. After completing her undergraduate work, she earned a Doctor of Medicine degree at The Ohio State University and The Cleveland Clinic Foundation, followed by a Surgery internship at the Naval Medical Center San Diego. Dr. Brown served for two years as a Battalion Surgeon (General Medical Officer) at Marine Corps Base Camp Pendleton. In 2006, she was deployed to Iraq in support of Operation Iraqi Freedom, where she served as the Medical Aid Station Director for Combat Logistics Battalion-5. Dr. Brown completed a four-year residency in the Department of Orthopaedic Surgery at Naval Medical Center San Diego and subsequently joined the Center’s Department of Orthopaedic Surgery as a faculty orthopaedic surgeon. Her next assignment was as a faculty orthopaedic surgeon at Naval Hospital Bremerton in Bremerton, Washington. In 2012, Dr. Brown was deployed to Afghanistan as a part of Operation Enduring Freedom, where she served as Orthopaedic Surgery Department Head. She is the recipient of nine military honors and awards, including the Bronze Star, Navy Commendation Medal. She continues her military service as a Navy Reservist. Dr. Brown is fellowship trained in orthopaedic sports medicine, shoulder and elbow. She completed her fellowship at OrthoCarolina in Charlotte, North Carolina. During her fellowship, she was an assistant team physician for the 2016 NFC Champions, Carolina Panthers and athletic departments for University of North Carolina in Charlotte and Davidson College in Davidson, North Carolina. 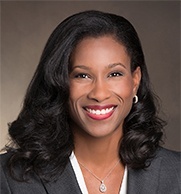 She is currently the team Orthopaedic Surgeon for the Phoenix Mercury and an official orthopaedic consultant for Arizona State University and the Tempe Union High School district. Dr. Brown is a Diplomate with the American Board of Orthopaedic Surgery, a Fellow with the American Academy of Orthopaedic Surgery, and a Member of the American Orthopaedic Society for Sports Medicine and Arthroscopy Association of North America. She serves on the Medical Executive Board at St. Luke’s Medical Center and is the Co-Founder and owner of UrgentlyOrtho. Dr. Brown is currently accepting new patients at Steward Orthopedic and Sports Medicine Center in Phoenix and in Tempe and UrgentlyOrtho in Scottsdale.